In a remarkable first, soon after attaining power the coalition government changed the landscape for the calling of general elections with the passing of the Fixed Term Parliament Act 2011. Under the old regime, the calling of an election was generally in the gift, so to speak, of the prime minister, subject to a maximum term of five years. 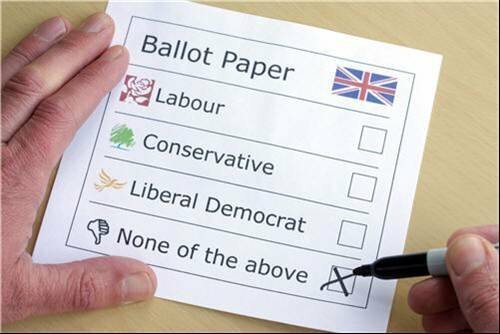 However, the new act specifies that a general election be held on the first Thursday of May, every five years – unless there’s a motion of ‘no confidence’ in the government or two- thirds of seats in the Commons agree a motion for an election. What does this all mean? Not only has the prime minister lost a key element of power, but the public will now face even longer campaigns and, just as importantly, can diarize the next election – Thursday 7 May 2020. While the policies of each party will become more visible as election day gets closer, the water will become more muddied as the rhetoric rises. The parties differ in their approach to publicising their policies – in fact they could be described as reluctant to codify their thoughts. So how are they trying to win the business vote? According to the Conservative Party, the EU is heading in a different direc tion to that the UK signed up to. It sees the single market as valuable but European interference excessive. The party plans to renegotiate the UK’s relationship with Europe and would offer the UK population an in/out referendum in 2017. Further, the Conservatives plan to prevent benefit tourism, tighten the rules for migrants, seek greater control of justice and home affairs, and renegotiate the UK’s financial contribution to Europe. Plus, of course, it wants to keep the pound. The Labour Party wants no more powers transferred to Europe without an in/out referendum, reform of the EU and reform of the free movement of individuals. Immigration would be controlled, with 1,000 new border staff and the counting of visitors both in and out. Calais and closing down Student Visitor visa loopholes. A Labour government would ban recruitment agencies from only hiring overseas, ensure that EU migrants earn an entitlement to benefits and would require public sector workers in public-facing roles to speak English. million jobs are linked to trade with the EU. It also claims that being in Europe helps the UK when negotiating non-EU trade deals. However, it wants further cuts to the EU budget and bureaucracy while seeking open borders for “highly skilled, entrepreneurial people”. Turning to the UK economy next, the Conservative Party points to past achievements and plans to continue the £2,000 reduction on employee national insurance for all businesses and would further abolish national insurance on jobs for those under 21 and, from April 2016, apprentices. The party would keep corporation tax at 20%, the 100% annual investment allowance for capital purchases to £500,000 until the end of 2015 and the (doubled) small business rate relief until April 2016.
tax avoidance, introducing a “mansion tax” on houses valued over £2m, and restoring the 50p rate of tax for those earning over £150,000. Lower earners would benefit from the re-introduction of a 10p starting rate of tax. Labour wants a levy on payday lenders, with the funds raised going to low-cost alternatives such as credit unions. Liberal Democrats want further reforms to business tax, including business rates, which they see as a disproportionate burden on smaller businesses. Personal tax allowances would be raised to at least £12,500. against tax avoidance would be expected to save £6bn. The Conservative Party, being part of the governing coalition, has the advantage of being able to talk about its government record. It has set up the British Business Bank with a claimed £4bn of backing and plans to keep the Funding for Lending scheme to further incentivise bank lending to businesses. The party also plans to treble the number of startup business loans to 75,000 by the end of the next parliament. The scheme would have £130m backing. Apprenticeships are referred to by the Conservative Party as it claims two million more apprenticeships were created in this parliament. If re-elected, the party would make it easier for businesses to take on apprentices by abolishing national insurance contributions for apprentices under 25 and offering £1,500 grants to those taking on apprentices. Under the Conservatives, employment law burdens would be further reduced for employers, together with more trade union reform. Proposals include requiring 50% membership turnout in ballots before strikes can go ahead, ending the ban on taking on agency workers where employees strike and ensuring minimum standards of service for public bodies. The Labour Party plans to help businesses through cuts in business rates for 1.5 million small firms, followed by a rates freeze. The party says it would set up a Small Business Administration to work across gov ernment to support SMEs, and would also create a British Investment Bank and a network of regional banks to work at a local level. It also wants at least two new challenger banks on the high street. Labour, too, backs apprenticeships and wants more vocational education, new technical degrees and would give employers more control over the design of apprenticeships. Going further, Labour wants to abolish zero-hours contracts and give employees who have consistently worked regular hours the right to receive a fixed-hours contract automatically. The party would increase the national minimum wage to £8 an hour by the end of the next Parliament (in 2020), while increasing fines for employers which fail to pay the minimum wage and give local authorities a role in enforcement. Labour would abolish a loophole that allows firms to pay agency workers less than permanent staff. Listed companies would be forced to report on whether they pay the living wage and large companies would have to publish their gender pay gap. At the same time, the law against maternity discrimination would be strengthened and the party would double paid paternity leave from two to four weeks while increasing the rate of statutory pay by £120 to £260 per week. An “Industrial Strategy” is part of Liberal Democrat Party policy to help sectors key to UK international trade, listed as motor vehicles, aerospace, low-carbon energy, chemicals and the creative industries. It would continue to back the Regional Growth Fund, which it claims “has already delivered 573,000 jobs and £1.8bn of private investment”. The Liberal Democrats would ring fence the science funding budget up to 2016. The party is pro-apprenticeship and wants an expansion of advanced apprenticeships that offer vocational education on a par with academic qualifications. Part of this means extending the Apprenticeship Grant for Employers for the remainder of the next parliament. Also, following coalition government policy, it wants to complete the roll-out of high-speed broadband, to reach over 99% of the UK. The Liberal Democrat Party says that if it came into power it would introduce a new offence for firms that fail to act to prevent economic crime such as corporate tax evasion. lead to rising energy bills. At the same time, the party wants to improve competition in the energy market while maintaining a good mix of energy sources. Government-backed Ofgem has referred the gas and electricity markets to the Competition and Markets Authority over alleged anti-competitive pricing. The Conservatives say the government also has measures in place, such as capacity auctions and proposals for new generation facilities, that it reckons would make energy supply more secure. Another plank in Conservative policy is an emphasis on fracking and greater tax breaks for the oil and gas industry to counter the fall in the price of oil. In terms of energy, the Labour Party is planning to freeze energy bills (both domestically and for businesses) until 2017, and would reform the market to increase competition and introduce simple tariffs. Typical savings claimed by Labour for the average business is around £1,800 per year. Under Labour, Ofgem would be replaced by a new regulator with the power to force energy companies to cut their prices where there is evidence of overcharging. The party wants to set a firm 2030 “decarbonisation” target for electricity and would also enhance the Green Investment Bank. The Liberal Democrat Party is keen on low-carbon energy sources and claims its reforms to the electricity market while in government have created the world’s first low-carbon electricity market that would stimulate up to 250,000 green jobs across the UK by 2020. The party notes an “infrastructure pipeline for energy” of £275bn up to 2020/21. Conservative Party policy on transport appears to revolve around a number of elements, including £200m that councils can bid for to fix potholes, pushing forward the HS2 rail project and overall spending cuts of 9.3%. A Changing Britain document from the Labour Party majors on passenger transport issues and details plans to cap annual rail fare increases, allow public sector operators to take on lines, devolve regional transport decision-making to create single networks, while making cycling safer and more accessible. Liberal Democrat Party policy on transport also supports HS2 and investment in the traditional rail network and roads – quoting the £15bn the party has helped push through while in government. As a party, it would invest in major transport improvements and infrastructure to create a “northern economic corridor” in northern England. The fighting of elections is an art for those on the inside. To voters, however, it is a periodic turn-off which, despite it’s importance to our well-being, is something that has to be endured rather than enjoyed. Even so, clearly the policies as publicised by each party are designed to appeal to voters at all levels and in all strata of society. Yet what can be believed, what is economic and what is likely to be enacted is another matter entirely. While only time will tell what colour government we will wake up to on 8 May, one thing is certain – we’re in for a bumpy, and quite possibly expensive, ride.